You're traveling through another dimension -- a dimension not only of sight and sound but of mind. A journey into a wondrous land whose boundaries are that of imagination. That's a signpost up ahead: your next stop: the Twilight S Zone! A few have asked for stories of the other dimension: UFOs. Thought a thread dedicated to the unusual, supernatural stories of Stewie owners might be appropriate. In this first case, it is not supernatural but beyond our current (perhaps) technology. UFOs. A few years back, a colleague of mine, a Navy F-4 Phantom pilot, told me a remarkable UFO story. This was a Naval Academy graduate, fighter pilot, and as it happened, a fairly religious type of guy. Conservative in that he was not some drug using, prone to goofy (my words) theories or fancies. Very steady kind of guy. Not a vegan. He described an encounter with another Navy bud of his (I think I recall it was his BN or backs seater), on a late morning on an isolated road in Alaska (that is were he was based) on a clear sunlit day. They spotted an object in the sky and were so taken, they stopped the car and got out. He described a cigar shaped, silver/chrome looking flying object that had no windows or anything remarkable visible from their position. The object stopped in position for several minutes about a 1/4 mile away from their location above some power lines. It moved around slowly, changing positions and then departed at a high rate of speed. He remarked that the "craft" made instant zig zag turns completely unlike an aircraft. To him it seemed impossible. It disappeared and they did not see it reappear. The total encounter was less than 5 minutes. Both individuals looked at each other and realized they had both seen the same thing. I asked what he thought it could be and he had no explanation, no theories. He just knew it was some kind of large flying machine that demonstrated abilities far beyond anything he had seen or had knowledge of. They did not experience anything else such as the car shutting off or interference of any kind. No one back at the base mentioned they had heard of something odd. One other story. Another airline pilot I was flying with told me of an occurrence he experienced at Chicago O'Hare airport. He had been pushed back from the gate, ready to start engines when he and his other pilot saw an object above the terminal. Said it was large and was sitting there. Weather had been IFR and there was a break in the clouds. They spotted others on the ground looking at it and their ground crew could see it. They mentioned that to tower (not the airport tower but the "gate" tower-ramp controller) but they were unaware of anything. It was discussed by other crews on the frequency. The UFO craft suddenly went straight up in the air and disappeared. I was pretty amazed at this story and once again, this person was a reasonable kind of individual and was quite serious in his description. I googled it some time ago and did find other stories on it on the web. Interesting. Last edited by cosmomiller; 03-06-2014 at 08:38 AM. To think we are alone in the universe is both arrogant and stupid in my opinion. I just would prefer whoever "they" are are peaceful when they finally do land, open the hatch, and come waddling out. chapter one is standard and has been since biblical times; the ubiquitous silver cigar shape. chapter two is twilight zone episodic. i wish we had a better description of the o'hare object, and the rest of the story. it is one thing to hear the stories of alien abduction from swamp red-necks (nothin' ag'in them, they are probably good people; salt of the earth) of probes and teleportation, sperm and ova removal, and organ biopsy. it is quite another thing to hear descriptions from sane, sober, educated men with the best aviation training available, who have 20-20 vision and have spent their lives in the skies for years. i would imagine that the pilots don't spread their UFO stories around too much. higher-higher probably doesn't like that. i would like to see a UFO. maybe that would make a believer out of me. i have never quite figured out why our alien visitors never choose the educated to visit, or why more people have not seen them. UFO pilots have an incredible safety record; almost as good as qantas. the only supposed crash was in roswell, nm in 1948; and to think of the remarkable distances that they would have had to travel in order to arrive here. we are merely a speck, a mote circling a dying red dwarf in our little solar system. we are highly evolved but certainly primitive, us humans. we have learned much, but we really know nothing. made of stardust, million year old carbon, we are simple products of the universe. we don't know the story. we don't know what is really going on. the questions of why we are here, where we came from, where we are going, are timeless. musing about alien space craft does give one insight into what a strange little setup we exist in. why would we have visitors? Lebensraum? a galactic geographical survey? mere curiosity? did they just come to help build the pyramids? to give us digital technology? Windows 97? why do they appear in different craft? are our visitors from different civilizations, using the same technology crafted differently; like the difference between a ford and a chevrolet? ok, cos, call me skeptic. more UFO stories. make me a believer. Last edited by bbcricketta; 03-06-2014 at 05:26 PM. UFOs are precisely unidentified. Coming to conclusions that we are being visited is unfounded. Considering the odds, there almost certainly has to be extra-terrestrial life, but to make a leap of faith and associate unknowns in such a manner is unscientific and, well, unconvincing. I've seen a couple of strange phenomenon in my life short of any rational explanation, but somehow that's as far as it goes for me. You just don't know, and that's the most intriguing aspect of it, no? ... Isn't Sasquatch more "believable" than big-eyed alien beings flying around, or are we off the rocker on that one too? Last edited by FuzzyRuttin; 03-06-2014 at 05:53 PM. What a fitting thread, so what happened to the plane heading to China? Vanished off radar and no wreckage, could this be a S zone story? I'm still waiting to see what comes of it. BTW cosmo be safe up there buddy. Thanks. I am just as "safe" as I am flying alone or with 300 passengers across the Pacific. However, events can transpire to ruin your day just as they can driving to the local Costco. You really do not know when the certain end will arrive but, with a pilot mindset, you should be ready anytime. Guess this time of Lent is as good as any to take spiritual stock of your soul so that when you meet your maker your boarding pass is due for an upgrade and not get "bumped"! The "triple" (777) has had a great record and pilots I know that fly it love it. I fly the A330 and I like it a lot even though I am a Macintosh guy! Taking off in 3 hours Minneapolis to Tokyo for an 11 day trip banging around Asia. See yah later! Last edited by cosmomiller; 03-08-2014 at 08:33 AM. nothing like a night cat shot to roll your sheets into a tight little ball, huh? you are right about events transpiring, sometimes even conspiring, to ruin your day. the A330 or the S2000: they want to kill you and will do so given the chance. you should always make sure that you stay within the boundaries, both yours, and those of the machine. you need to keep you cranium out of your rectal region--this is good advice and especially true if you are operating an old tricycle configured tractor or running a chain saw. ever read Fate Is The Hunter by Ernest K. Gann? if i was running a flight school it would be required reading. his account of flying a DC-2 coated in heavy ice is chilling and suspenseful; as good a read as there is, if you like that sort of thing. i am off to wring bb out. cos, have a great time in Asia. do be careful. where are our UFOlogists? nobody with a sighting they want to share? i know you're out there. I got it, the Aliens are peeping toms! chaz, that is me in the red circle. bbET. Yes, "Fate is the Hunter" was an excellent read. Made me realize that luck plays as much a part of survival as skill. You need both!!! The question of UFO's goes against all logic. Yes there are by the latest estimates a billion planets in our galaxy alone and yet Einstein's theories and the distances involved, 4.5 light years to Alfa Centauri, mean practical travel between is impossible. Think of the industrial resources it requires just for our lunar travel. Now apply that to a distance of a light year, it boggles the mind!! Stories of UFO's have been around since the late '40's. You would have thought they would have all the observational data they need, yet no contact! I remain a skeptic with an open mind. Stories of UFO's have been around since the late '40's. You would have thought they would have all the observational data they need, yet no contact! I remain a skeptic with an open mind. No, I am an expert. Couple of blimps. Yes, and a couple of very nice blimps too!!! 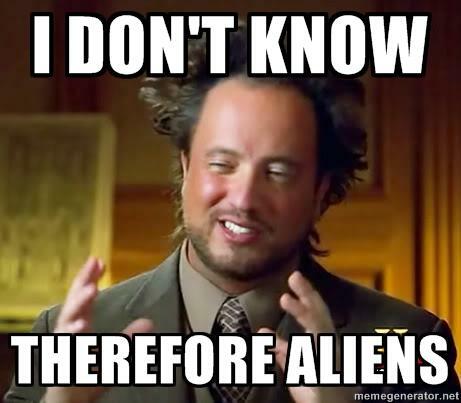 Still no sign of the missing plane, now people are suggesting UFO abduction or a dimensional wormhole. With members of the families of people on board being able to call on cell phones(with no response on the other end) may bring some food for thought. UFO's have been around longer than that if you listen to some of the UFO enthusiasts. As for the travel, 600 years ago the Earth was flat and at the center of the universe, and there was no "practical travel" between the eastern and western continents. We can do it in a couple of hours now. There are workarounds in the physics of faster than light travel, so who really knows? definitely a wormhole. the chinese are working that angle now. "Scotty I'm on the plane, beam it aboard" ENERGIZE! " Captin I'm an engineer not a magician"
Man, and I was about to get a massage here in Shanghai. What if.. is a definite YES!! Yea, Cos I remember those massages in Korea.........Is it the regular 3 dolla kinda or the really good 8 dolla variety?? love you long time! cos numbah one! i'll bet the NSA knows where that plane is at this very moment. aren't they tracking everything realtime? Since I was once part of the NSA predecessors, I doubt that they are tracking moving things, only what is being said about them. That's a captured alien x-wing star fighter......from a galaxy far, far away. Keep an eye out for my yellow 09 this weekend. Staying at NASA Moffett field, up to the City for Sunday breakfast on Polk. Glad to hear your on the ground for a change Cosmo, have fun the S! Still snowing in N.Y. hope to get a chance to make a fast break back X-country when to weather gets better. Had a nice drive to/from the Bay Area. However, after reading a few threads on noise reduction, I became quite aware of the road noise in the S. I see a Dynamat project next month in the works. Day-um the Dynamat. What do you think that fancy new HU and speakers are four? S is a noisy little beast. so beast it. how was the drive IN the bay area? did you get to do castro? you can get quite a massage there, flyboy. You speak almost the entire truth! It IS a noisy beast; much of the time I do not listen to the radio. Most of the time the top is down. I have tried earplugs (soft ones, disposable ones, like the ones for preflights and shooting) for solo long drives on the freeway top down and I find it does reduce the stress and increased the enjoyment of the ride for me. Yes I can still hear the police trying to pull me over and the hum of pursuing alien craft. Drive was fine in the Bay area, top down except for the interstate. Did drive through a number of areas, Mission, Castro, downtown, etc. Not the place, time, DNA, inclination, or desire of this flyboy for that kind of massage on that side of the railroad tracks. I guess that is why the Dynamat is so (suddenly) attractive; I put the top up for the wife and interstate noise (she was getting the "aura" for a nasty headache) and I noticed how noisy the road noise was coming from the back. Its funny it never really hit me before. Last edited by cosmomiller; 03-24-2014 at 08:19 AM. It is time to reenter the the Zone. For your contemplation today is an ongoing, historically intermittent, geographically jumping phenomena that captures one sense. The sense of sound. A sound likened to a canon. A boom. I became aware of the sound reading the account of Lewis and Clark. While at the Great Falls of the Missouri, early in the summer of 1805, Lewis and Clark noted that they'd "repeatedly heard a strange noise coming from the mountains in a direction a little to the north of west. It is heard at different periods of the day and night, sometimes when the air is perfectly still and without a cloud, and consists of one stroke only, or of five or six discharges in quick succession. It is loud, and resembles precisely the sound of a six-pound piece of ordnance at a distance of three miles." Lewis was so puzzled when he first heard this sound that he sat still on the prairie for two hours hoping to hear it again — and so he did, twice. He'd been a skeptic earlier, when Indians told him of this noise "the mountains made" — but now he'd heard it himself. And he wasn't the last. Members of Isaac Stephens' 1853-54 Pacific Railway Survey expedition heard it several times in the vicinity of the upper Sun River, "a noise in the mountains like the discharge of artillery, resembling the reports and explosions mentioned by Lewis and Clark and others." The same was heard again in 1872 by Thomas P. Roberts and his party, during another reconnaissance of the upper Sun River country. It was "exactly like the booming of a cannon some miles distant. We heard it three times, at intervals of about fifteen minutes." There's more S fans. Other writers (Olin D. Wheeler and Elliott Coues among them) who retraced the route of Lewis and Clark tell us that the noise was heard often in the region between Great Falls and the Gates of the Mountains, and elsewhere in Montana, right up through the beginning of the 20th century. We’ve gotten email after email, not to mention Facebook posts, from people who say they're hearing a boom around the same time every night. Not even the Osceola County Sheriff’s Office has an answer. “It was like a ‘BOOM!’ Then, the windows kinda shook,” said Kissimmee resident Daryl Mercado. “A loud BOOM sound…like they throwed a bomb,” explained young AJ. Kids and adults alike are talking about it. But what exactly is it? Chezem is in St. Cloud and was one of the people who emailed us about these mysterious booms. We’re also hearing from people in Kissimmee and even as far away as Haines City in Polk County. Whatever it is, Valencia College student Daryl Mercado’s story lines up with everything else we’ve been hearing. These booms start around 10 p.m. and they sound like thunder. Mercado said he’s heard them over the past three weeks. He was studying the second time it happened, but he grabbed his flashlight to see what it was. Mercado isn’t the only one puzzled by this. We reached out to the Osceola County Sheriff’s Office, but a spokesperson said they don’t have any answers either. “We took several calls and we are investigating,” said spokesperson Twis Lizasuain. So as their investigation continues, Daryl Mercado will continue to patrol his community, while neighbors try to go about life as normal. This is a mystery we will continue to follow and keep you updated." End of story. Last year in my neck of the woods, booms were being reported. I have heard them. Being from the military, I am pretty used to "booms". Sonic booms, ordinance, etc. I dismissed them but was quite intrigued by the many reports. It turns out history has a few reports of these mystery booms and there is no explanation from science. They have been called Cornwall thumps (Ontario), water guns of Lough Neagh (Ireland), detonation of Comrie (Scotland), Barisal Guns (near Bangladesh), gouffre (Haiti), Baturio marina (Italy) and in Holland and Belgian they call them mist poeffers. You don't mention ambient temperature, but if it were cold enough, they could be "frost quakes". There were extensive reports a while back, especially from MN and WI, of just such a thing. How cold does it get in Montana in the summer? Haiti? Summer in SMF (110)? It would be easier to pass off the sound if it were so. Lots of booming noises in the mountains with lots of snow. Easy to see (hear) how that can happen in that case. You think you are down an easy path of explanation but there is a detour into the zone, the twilight S zone. 2 from my childhood; supposed to be true...you decide. It looks like a typical stealth platform, two air breathing turbines, non ramjet at the speed it is traveling and is low altitude, barely above the PCA if that. Last edited by cosmomiller; 03-30-2014 at 11:03 AM. Last edited by flyingarmadillo; 03-30-2014 at 01:03 PM.